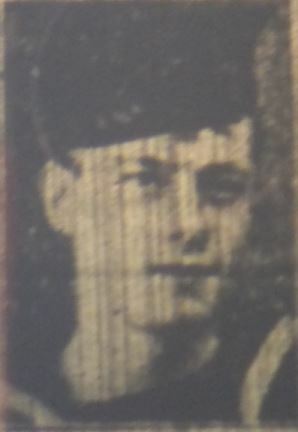 One of the 12 Soldiers from Tupton who died in Word War 2. Killed in action during the battle for Crete. HMS Numian was bombed in the stern killing 7 crew. Grave location or memoria location No grave. Any other information? Joined the Royal Navy when aged 16. Previously had worked at Williamthorpe Colliery. As with most Armed Forces Serving Personal during the conflict of World War Two, Raymond Germany was entitled to the War Medal 1939-1945. This medal was awarded to all full time service personnel who had completed 28 days service between 3rd September 1939 and the 2nd September 1945. Eligible personnel who had been “Mentioned In Despatches” during the War were entitled to wear a bronze oak leaf emblem on the ribbon. Those eligible for a campaign star, yet who had their service cut short by death, wounds or capture by the enemy, still qualified for this medal. Given the information available to us it is likely that Raymond Germany was awarded the 1939-45 Star for operational Service in the Second World War between 3rd September 1939, and 2nd September 1945. Raymond Germany would have been awarded this star if their service period was terminated by their death or disability due to service. Also the award of a gallantry medal or “Mention In Despatches” also produced the award of this medal, regardless of their service duration.